I have to say that I attended this year’s Cloudera analyst event in San Francisco with a mix of excitement, expectation and a grain of salt also. My excitement and expectation were fuelled with all that has been said about Cloudera and its close competitors in the last couple of years, and also by the fact that I am currently focusing my own research on big data and “New Data Platforms”. Moreover, when it comes to events hosted by vendors, I always recommend taking its statements with a grain of salt, because logically the information might be biased. However, in the end, the event resulted in an enriching learning experience, full of surprises and discoveries. I learnt a lot about a company that is certainly collaborating big time in the transformation of the enterprise software industry. The event certainly fulfilled many of my “want-to-know-more” expectations about Cloudera and its offering stack; the path the company has taken; and their view of the enterprise data management market. Certainly, it looks like Cloudera is leading and strongly paving the way for a new generation of enterprise data software management platforms. So, let me share with you a brief summary and comments about Cloudera’s 2017 industry analyst gathering. 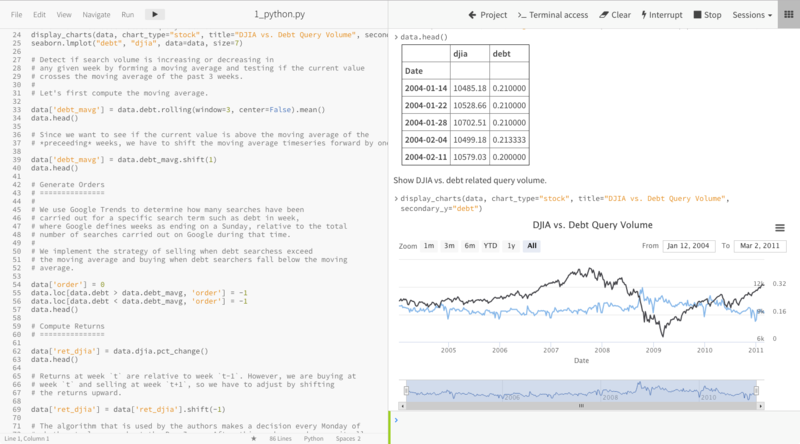 The first one was about the beta release of Cloudera Data Science Workbench (Figure 1), the company’s new self-service environment for data science on top of Cloudera Enterprise. This new offering comes directly from the smart acquisition of machine learning and data science startup, Sense.io. 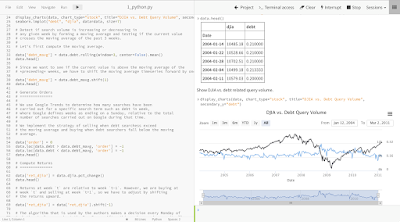 Some of the capabilities of this product allow data scientists to develop on some of the most popular open source languages —R, Python and Scala— with native Apache Spark and Apache Hadoop integration, which in turn fastens project deployments, from exploration to production. 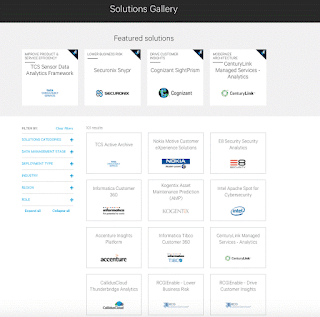 One key approach Cloudera takes with the Data Science Workbench is that it aims to enable data scientists to work in an truly open space that can expand its reach to use, for example, deep learning frameworks such as TensorFlow, Microsoft Cognitive Toolkit, MXnet or BigDL, but within a secure and contained environment. Certainly a new offering with huge potential for Cloudera to increase its customer base, but also to reaffirm and grow its presence within existing customers which now can expand the use of the Cloudera platform without the need to look for third party options to develop on top on. 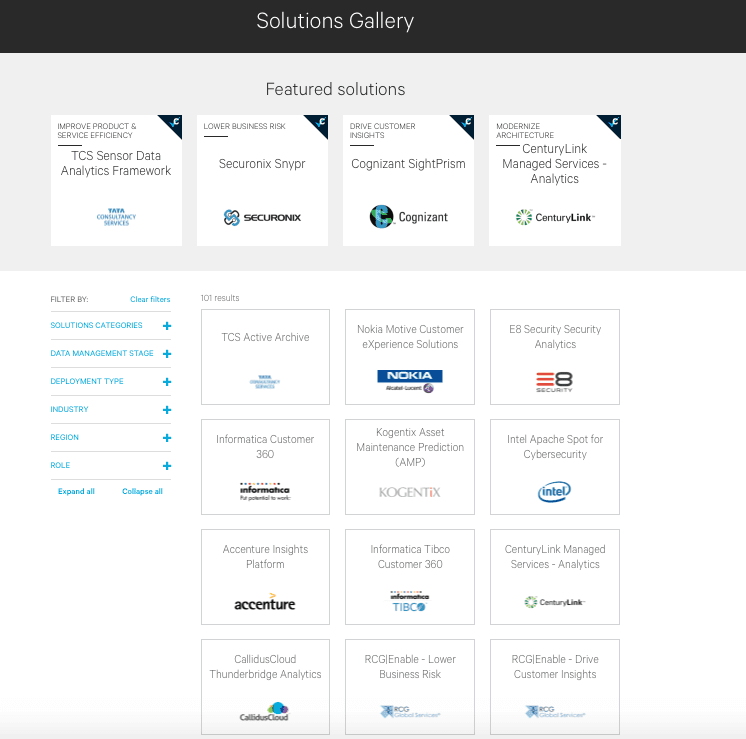 The second announcement showcases the launch of Cloudera Solution Gallery (Figure 2), which enables Cloudera to showcase its solution’s large partner base —more than 2,800 globally— and a storefront of more than 100 solutions. This news should not be taken lightly as it shows Cloudera capability to start building a complete ecosystem around this robust set of products, which in my view is a defining aspect of those companies who want to become an industry de-facto. During an intensive two-day event filled with presentations, briefings and interviews with Cloudera’s executives and customers, a persistent message prevailed. While the company recognizes its origin as a provider of a commercial distribution for Hadoop, it is now making it clear that its current offering has expanded way beyond the Hadoop realm to become a full-fledged open source data platform. Hadoop is certainly in the core of Cloudera as the main data engine itself but, with support for 25 open source projects, its platform is currently able to offer much more than Hadoop distributed storage capabilities. Cloudera’s executives made it clear that the company strategy is to make sure they are able to provide, via open source offerings, efficient enterprise-ready data management solutions. However, don’t be surprised if the message from Cloudera changes through time, especially if the company wants to put its aim on larger organizations that most of the times rely on providers that can center their IT services to the business and are not necessarily tied with any particular technology. Cloudera is redefining itself so it can reposition its offering as a complete data management platform. This is a logical step considering that Cloudera wants to take a bigger piece of the large enterprise market, even when the company’s CEO stated that they “do not want to replace the Netezzas and Oracle’s of the world”. Based on these events, it is clear to me that eventually, Cloudera will end up frontally competing in specific segments of the data management market —especially with IBM through its IBM BigInsights, and Teradata, with multiple products that have left and keep leaving a very strong footprint in the data warehouse market. Either we like it or not, big data incumbents such as Cloudera seem to be destined to enter the big fight. During the event I had also a chance to attend a couple of sessions specifically devoted to show Cloudera’s deployment in the context of IoT projects. Another thing worth notice is that, even when Cloudera has some really good stories to tell about IoT, the company seems not to be in a hurry to jump directly onto this wagon. Perhaps it’s better to let this market get mature and consistent enough before devoting larger technical investments on it. It is always very important to know when and how to invest in an emerging market. However, we should be very well aware that Cloudera, and the rest of the big data players, will be vital for the growth and evolution of the IoT market. Today it’s very hard, if not impossible, to deny that Hadoop is strongly immerse in the enterprise data management ecosystem of almost every industry. Cloudera’s analyst event was yet another confirmation. Large companies are now increasingly using some Cloudera’s different options and configurations for mission critical functions. Then, for Cloudera the nub of the issue now is not about how to get to the top, but how to stay there, evolve and leave its footprint at the top. Cloudera has been very smart and strategic to get to this position, yet it seems it has gotten to a place where the tide will get even tougher. From this point on, convincing companies to open the big wallet will take much more than a solid technical justification. In my opinion, in order for Cloudera to succeed while taking this critical step, they will have to show that they are more than well prepared business, technically and strategically wise, and also prepared and ready for the unexpected, because only then they will be able to grow gracefully and align to play big, with the big guys.